Home » Celebrities » Beyonce Reportedly Drops Jay-Z’s Last Name – Sign of Divorce? Beyonce Reportedly Drops Jay-Z’s Last Name – Sign of Divorce? AceShowbiz –Beyonce Knowles and Jay-Z‘s marriage is rumored to be on the rocks again. The pair hint that there is trouble in paradise after the “Single Ladies (Put a Ring on It)” hitmaker reportedly dropped her husband’s last name. The 37-year-old singer changed her name legally to Beyonce Knowles-Carter after marrying the rapper in 2008. She has since credited her music with her full name, but recently reportedly registered three new songs with ASCAP with just Beyonce Knowles. MTO News, which claims to have “receipts” to support the report, has also revealed the titles of the new songs. They are “My Body” written by Crystal Johnson, Beyonce, Tony Reyes and Alonzo Stevenson; “Politica” credited to Solana Rowe, James Blake Litherland and Beyonce; and “Miss Melanin” written by Beyonce, Khaled Mohamed Khaled, Amber Denise Streeter and Ingrid Burley. Beyonce and Jay have not responded to latest divorce speculation. The pair put a united front when they were spotted out and about in Los Angeles over the weekend. Skipping the 61st Grammy Awards, they were seen hitting hot spot Avenue with her mother Tina Knowles. “They ordered a martini and french fries,” an eyewitness told Page Six. The couple also hosted Roc Nation’s annual pre-Grammy brunch on Saturday, February 9. 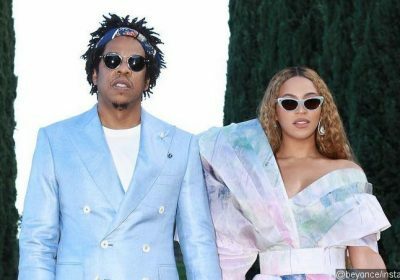 Despite skipping the award-giving event, Beyonce and Jay-Z won the Best Urban Contemporary Album Grammy for their 2018 joint studio album “Everything Is Love”. Beyonce and Jay-Z have gone through some ups and downs in their marriage as the Roc Nation founder was accused of cheating on her a few years ago. While the “Dreamgirls” star seemed to confirm their marital issues in her 2016 critically-acclaimed album “Lemonade”, the pair managed to work things out and stay together as a couple. They welcomed their second and third child, twins Rumi and Sir Carter, on June 13, 2017. The little boy and girl joined their elder sister, Blue Ivy Carter, who was born on January 7, 2012.